In 1999, Eclat Roofing in Dallas, TX began our company the foundation of customer satisfaction. We wanted to be the very best roofing contractor in the DFW area. We have exceeded this goal. Not only do we have thousands of customers who are satisfied with the services we provide in the Dallas, TX area and beyond, but we have also successfully completed projects across the state of Texas, into Louisiana and Oklahoma. Our roofers are all licensed, insured and bonded, so you know your roofing service will be taken care of safely and effectively by knowledgeable professionals. 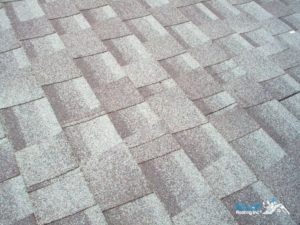 The roofing contractors at Eclat Roofing are trained using a variety of techniques and materials to bring our customers the best in both commercial and residential roofing. We stay on top of new developments in the roofing industry so we can bring them to the customers we value. Whether you need a roofing company that can maintain the roof over your home or business or you need a completely new roof installed or replaced, we are the one for the job! From metal roofs and shingle roofs for homes to TPO roofs and built-up roofs for businesses, our roofers are experts in all techniques and materials. Eclat Roofing even specializes in all aspects of storm damage repair with our 24/7 services. We have an insurance specialist on staff who can help you, as a home or business owner, navigate the insurance claims process from start to end. We can even install hail resistant roofs on homes and businesses that want to save themselves the stress of dealing with storm damage. Whatever your needs, our pros will work with you to find a solution that fits your budget and your needs. We always encourage our customers to read our reviews and check out our A+ rating with the Better Business Bureau. If you contact us, we can even provide references from previous projects so you know we’re a trustworthy roofing company who cares about our customers’ satisfaction! Don’t trust your roof to just any company. Call Eclat Roofing now at (214) 373-1500 for your home or business roofing services in Dallas, TX! Updated on September 13, 2018 at 3:19 pm by Eclat Roofing.